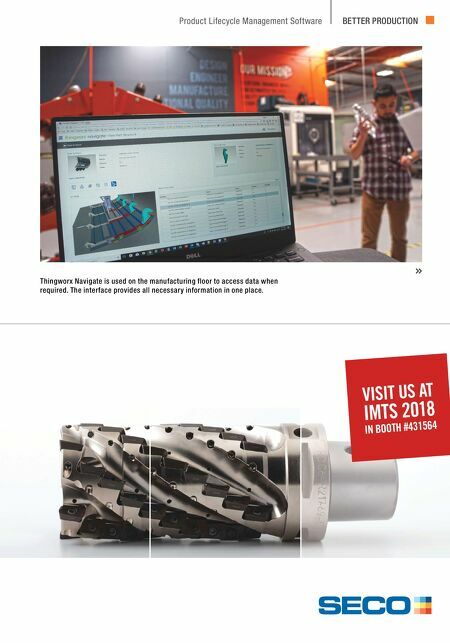 MMS JULY 2018 104 mmsonline.com BETTER PRODUCTION DATA MANAGEMENT GO DEEP. Achieve some serious material removal rates with Seco's semi-custom helical cutter program. This program cuts the delivery time for customized helical cutters by 50%, providing a tool designed for your specifi c application at a similar price and delivery time as our wide range of standard helical cutters. Visit SECOLOCATOR.COM to fi nd your local distributor and get ready to mill faster, longer and deeper than ever before. 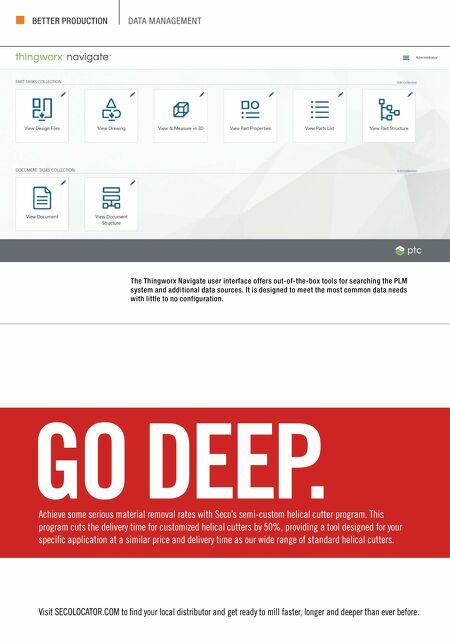 The Thingworx Navigate user interface offers out-of-the-box tools for searching the PLM system and additional data sources. It is designed to meet the most common data needs with little to no configuration.